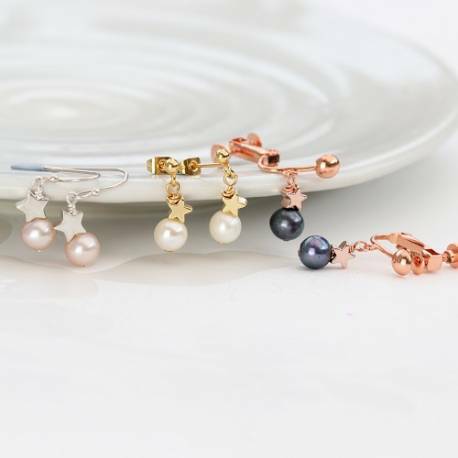 Classic freshwater pearl drop earring accentuated with sterling silver, rose gold or gold star, for adding timeless elegance and vintage chic to any outfit. 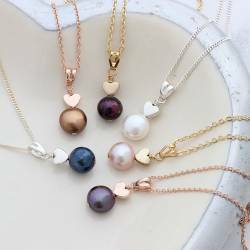 They are available in white, pink or peacock pearls, on sterling silver or rose gold or gold plate and on fish hooks, studs or clip on for non pierced ears. 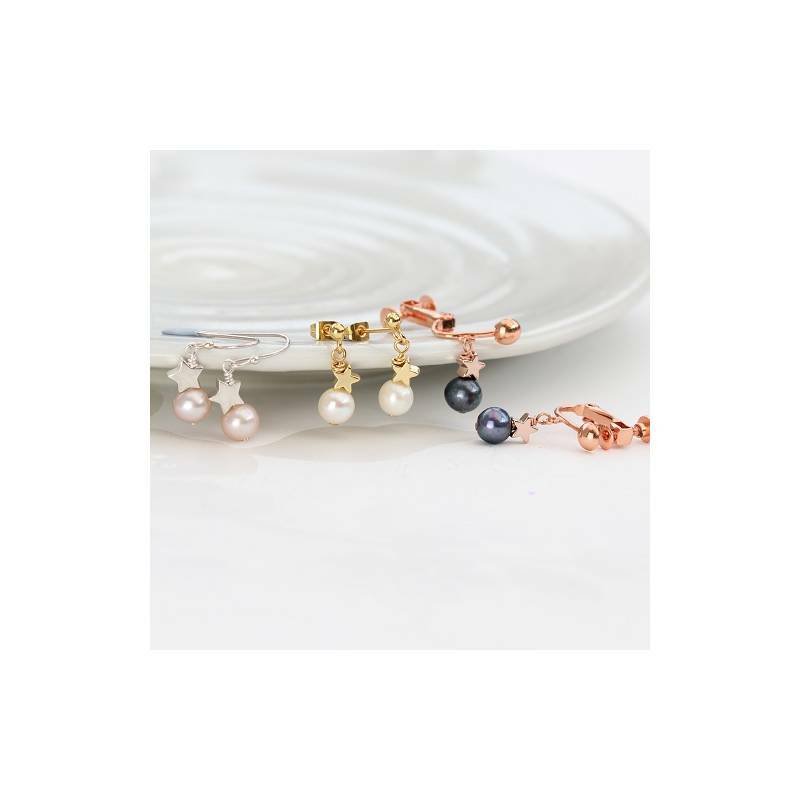 Freshwater pearls and sterling silver, rose gold or gold plate. 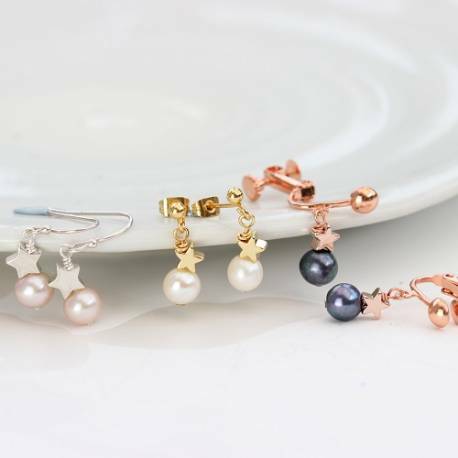 The clip on earring back is silver or gold plated brass or copper.